Denmark's Ginger Ninja released their debut album last week titled "Wicked Map" (buy it here) and it is a fantastic record full of rock/pop tunes. The first single is "Bone Will Break Metal" (video below) and the rest of the album is solid with other favourites being "Soldiers", "Crying Shame" and "Sunshine" . The band is comprised of Johan Luth - Drums, Carl Riestra - Bass, Henrik Hamilton - Vocals & Guitar, and Rasmus Søby Andersen - Guitar. No word on a North American release of the album. 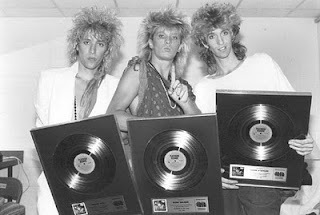 Canadian 80's pop rockers Platinum Blonde will be inducted into the Canadian Music and Broadcast Industry Hall of Fame on March 12 at the Canadian Radio Music Awards in Toronto, as part of Canadian Music Week. It also sounds like the three original members Mark Holmes, Chris Steffler Sergio Galli are trying to organize a reunion concert in Toronto in the coming months (there's a good chance it will take place at The MOD Club, where Mark Holmes is an owner). Click here for a recent interesting newspaper article about the band and drummer Chris Steffler. I hadn't heard of Sam Isaac until today after I found out it was his song "Bears" that was used at the end of last night's episode of "Chuck" on NBC. The vocals reminded me a bit of Rik Flynn from the U.K. band Captain. The song is the title track from the Bears album that Sam recorded in the summer of 2008 with Dan Swift who has worked with Snow Patrol and Aqualung. I've only had a chance to listen to his songs on his MySpace site and like what I hear. 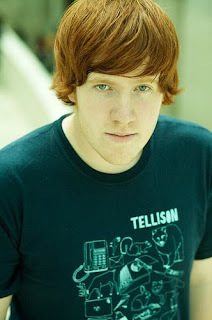 He also has a connection to Canada, this from his bio "By the time he was in his teens, his restlessness drove him to run away to Canada, where he immersed himself in Montreal's burgeoning scene with the likes of Stars, The Dears, and Broken Social Scene. "Canada came at a point when everything was changing with my relationships and family," says Sam. "Running away to another part of the world and finding myself a new set of friends and surroundings was as romantic as it was inspiring." James Yuill has done a great remix of Sam's song "Sticker Star And Tape" you can download it from James' blog here. Bears should be available on your iTunes and can be ordered from here. Hungary is not a country I would think of as a hot bed of pop music, but "SP" does seem to be a big star there. Moving away from rap to a more R&B/Dance sound on his third album "Special" (order it here), he is considered a superstar in Hungary. 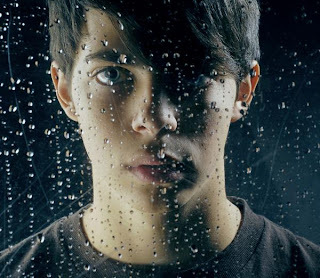 SP is Éder Krisztián 22 year-old who lives in Budapest and has had a hit recently with the song "Kép maratsz" (music video below). On the album he does an english version of one of the songs and titled it "Take Me Back", you can get the MP3 here for one week. 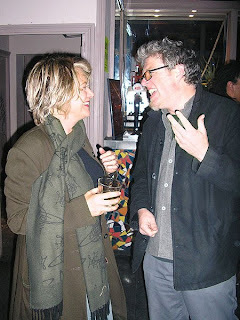 Tom Bailey from the Thompson Twins was recently in New Zealand performing some shows as International Observer, his dub outfit. You can listen to his new album "Felt' here, be sure to listen to the track "Popcorn Slavery", probably the closest things to a new Thompson Twins track we'll hear even though it is an instrumental. Listening to the whole album it reminds me of his output as "Babble". While in New Zealand Tom was interviewed by Radio New Zealand, and you can listen to the interview here. Some interesting information culled from the interview is that A: Tom and Alannah's son Jackson Bailey who is now 21 DJ's under the moniker "Tapes" and was on this recent tour with his father. He has released music on the Jahtari label and seems to be gaining some notoriety (you can listen to his music at his MySpace page - also his Debut EP out now on Jahtari, digitial or C60 features a cover designed by James Cauty (KLF) who is Alannah's boyfriend). B: Tom has remarried to artist Lauren Drescher who is also qualified midwife. C: Tom recently performed with the project Holiwater in New Zealand. Alannah Currie now creates furniture as Miss Pokeno, check some of it out here. I believe Joe Leeway is still working in California, click here to go to my "Where Are They Now" post from 2006 for more info. Ian Axel album "This Is The New Year" released today! The amazing Gail Ann Dorsey (solo, David Bowie, Tears For Fears) is currently rehearsing with Jonatha Brooke for her upcoming European tour dates in February. Jonatha blogged about it and included the picture above of her band. I hope Gail also plays some North American dates with Jonatha, would definitely be worth a trip to see them on stage together. 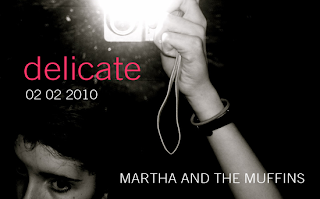 Canada's Martha & The Muffins return this year with a brand new cd titled "Delicate". 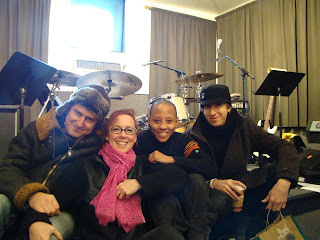 The duo of Martha Johnson and Mark Gane recorded and mixed the album in Toronto with producer/mixing engineer David Bottrill (Peter Gabriel). The album is scheduled for release on February 2nd, 2010, and the band has two concerts scheduled for Toronto on February 5th and 6th at the Music Gallery.